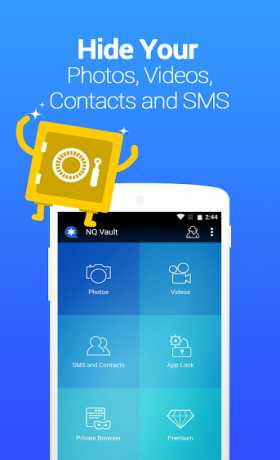 ● Photos & videos protection: All files will be hidden into a private place and can only be viewed in Vault after entering the correct password. Allow users to manually select and import photos but also have the function that can automatically mark all your still visible photos and remind you to import them. 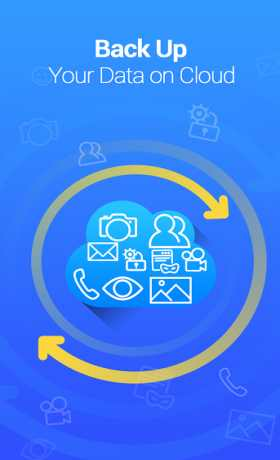 ● Contacts/SMS/Call logs protection: allow users to create “private contact”, and all messages and calls from the contact “disappear” from the phone, almost as if the contact never exists. Vault hides text message and suppresses incoming message alert. 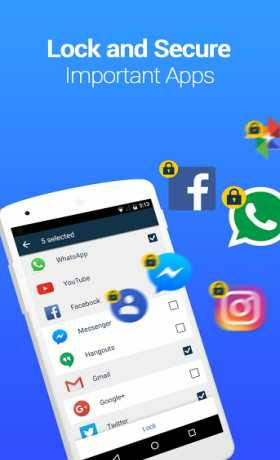 ● App Lock: Email, Facebook, Skype, Tango, Instagram, Amazon, Candy Crush…any apps you choose to lock will be protected with a password, if someone try to use your locked app, she/he must enter the correct password in order to open it. And for premium user, you can select unlimited apps to lock and also enable the Camouflage App Lock to make your locked apps appear like it is crashed. 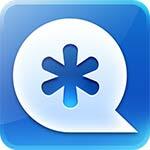 ● Facebook Messages: Do you worry about your Facebook messages being seen by your friends’ friends? Worry no more. Vault can hide the Facebook messages that you rather keep to yourself. Simply open Messages and chat privately. ● Break-In Attempts (premium): it photographs anyone who enters the wrong password to attempt your Vault, without the intruder knowing it. Help to monitor who access the phone and when such attempt was made. This feature requires an Android 2.3 (or higher) device with a front-facing camera. 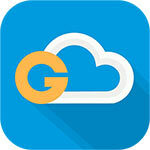 ● Stealth Mode (Premium): allows users to completely hide Vault’s icon on the phone’s home screen. When stealth mode is on, Vault’s icon will disappear. And it can be opened again by entering your password from within the phone dialer. ● Vault Online (Premium): back up your Vault files to NQ’s private cloud space. Data is securely encrypted and can only be accessed by you. ● Fake Vault (premium): create a decoy vault to protect the real one. If someone insists to see the content in your Vault, just show them the ‘fake’ one.